It’s a bold claim from Lexus and one I’d normally take with a pinch of salt but this time the carmaker really does mean what it says. The new Lexus LS is an incredible piece of engineering. For the L Premier model buyers can enjoy their ‘climate concierge’ system which uses infra-red sensors to monitor the facial temperature of each occupant of the car and then adjusts the four zone climate control, seat heaters/coolers and the heated steering wheel to provide each occupant with the most comfortable ambient temperature. If that’s not enough, passengers in the back seats benefit from electrically operated reclining seats, including electric footrests. The left-hand rear passenger seat also features a power lumbar massage function with remote control. 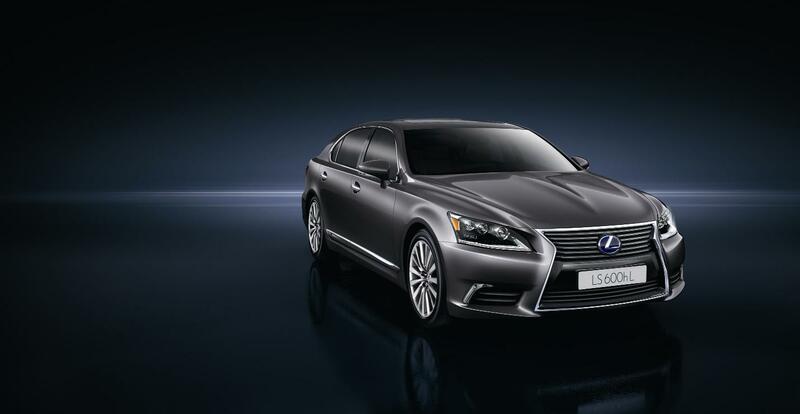 The LS 600h L Premier is also fitted with an Advanced Pre-Crash Safety system with ‘collision avoidance assist’. It’s designed to help the driver avoid an accident – or even to mitigate the consequences of a collision, with vehicles or pedestrians. It can operate across a wide range speeds, and in daylight or darkness. Standard specification also includes Lane-Keep Assist and Blind Spot Monitor systems. Lexus have also added an F Sport model for the first time in the LS range. That means there are three models in the line-up: LS 460 Luxury, LS 460 F Sport and LS 600h L Premier. They’ve also reintroduced a LS 460 petrol model following requests from customers. OK so prices for the flagship Lexus LS saloon start at £71,995 which puts most of these technologies out of most peoples’ reach. (The full hybrid LS 600h L Premier is available from £99,495 which is an incredible price tag). However, you could look at leasing the new Lexus LS and got a great car that way! Available to order now, customer deliveries begin in January. This entry was posted in News and Views and tagged car, climate control, lexus, lexus ls, LS, MoT, OK, price, seat, steering wheel, technology by Steve Lumley. Bookmark the permalink.